In the process, we just might experience more than an enjoyable day. A vast amount of scientific data now demonstrates that happiness is good for the heart, boosts the immune system, and decreases stress. It also helps us live longer, so there's something else to dance about! I've been playing with happiness this week, and remembering how it paves the way for ease and abundance. 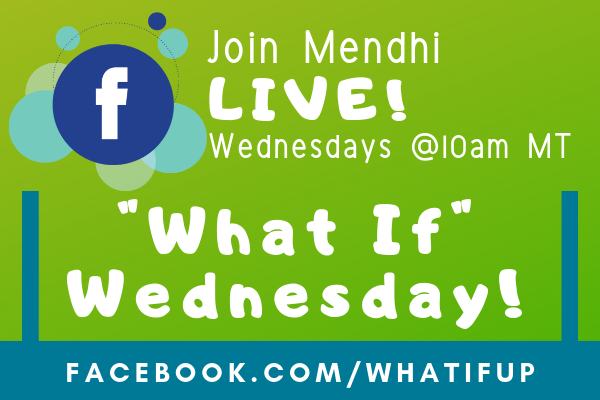 Join me on Facebook today at 10 am MT as we waltz through new possibilities for stepping into the "Happy Zone" as part of our weekly "What If Wednesday" live broadcast. Can't wait to see your moves!